Agoda Indonesia, an online travel agency offering accommodation services through its website and mobile app, celebrates the spirit of Indonesian millenials through a multi-channel campaign and new product to maximize their traveling experience. Introducing #agodabasecamp, the campaign is targeted specifically at millenials who consider that accommodation is the beginning and very core of their traveling experience. Based on research, Agoda has determined three reasons why millenial travellers are the main target group for this new campaign. First, millenials are highly interested in destinations off the beaten path and are eager to explore places that they haven’t visited before. Second, Indonesian millenial travellers also feel very connected to their home country and want to learn more about Indonesia’s diverse culture. And thirdly, they are open to experience anything that is new and fresh, including their accommodations. In their eyes, hotels are more than a place to spend the night - instead, it is the place where they start their journey, and where they can meet like-minded fellow travellers and communities. The research results reveal that millenials in Indonesia are increasingly looking for a different experience, and they tend to travel to local destinations - this is supported by data from Agoda that 70 percent of the most visited tourist destinations this year were local destinations. 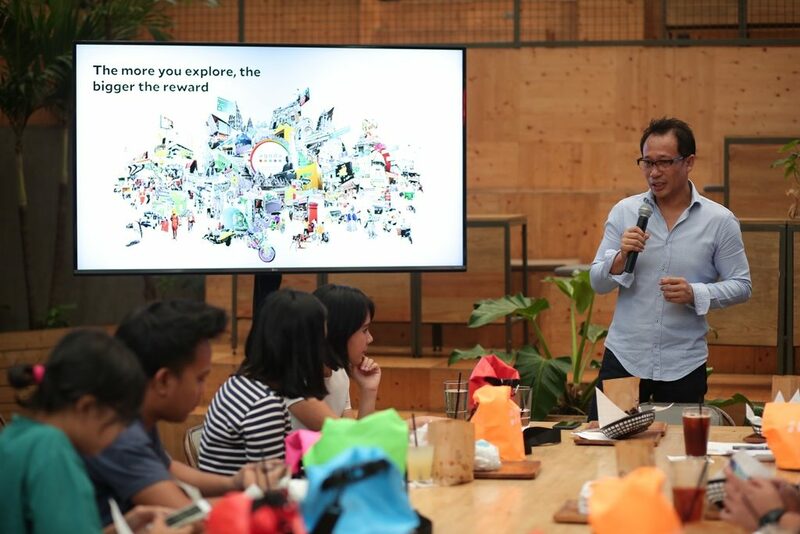 Therefore, Agoda Indonesia released “Check In, Step Out”, a feature accessible through the website or mobile app, that hopes to inspire its users “from the doorstep” and includes the following categories: culinary, entertainment, getting around and shopping. Through these different categories, travellers can get useful tips and information such as the distance from where they are staying to the place they would like to visit. “Check In, Step Out” also includes a selection of 1000 interesting locations at four destinations: Yogyakarta, Jakarta, Bali and Tokyo. Users can find a plethora of possibilities to explore these places, each featuring its own uniqueness - art and culture in Yogyakarta, the splendour of Tokyo, the blending of old and new in Jakarta as well as lifestyle and nature in Bali.